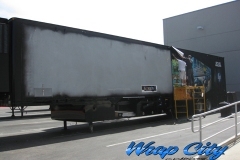 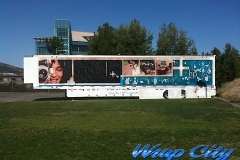 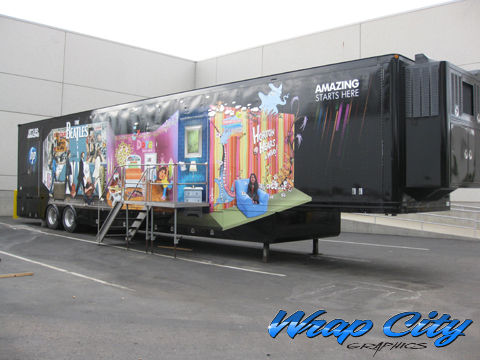 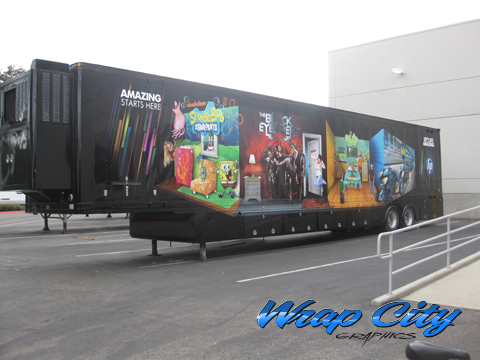 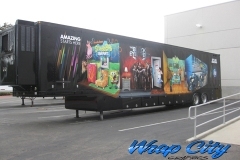 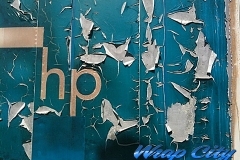 This weeks project was the installation of HP’s semi trailer wrap. 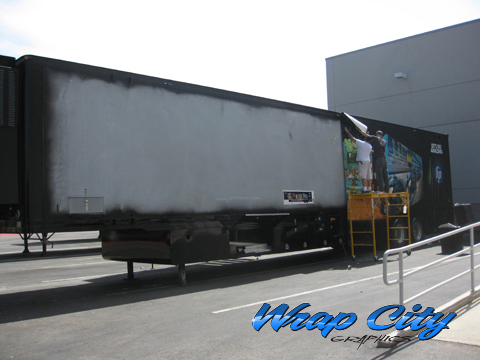 The trailer had been previously wrapped in another material that had been badly sun damaged and weathered over the years. 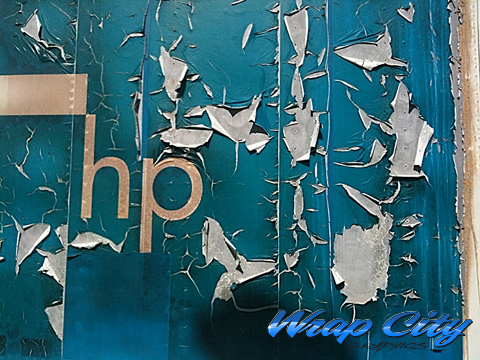 The renovation would include a whole new interior to display HP’s new products and a full wrap designed and and printed by HP on the new HP wrap material and latex ink printers.